The completed pole screen measures 5 inches (130 mm) high, and the round frame is 1½ inches (38 mm) in diameter. Go to the pole screens page in our Needlepoint Kit Store to see the designs. 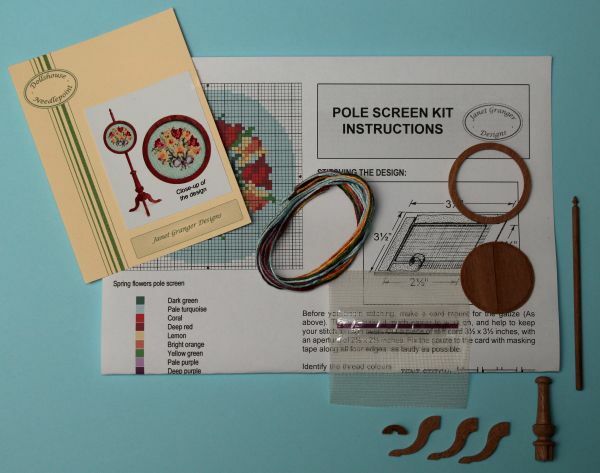 There is a Free Online Tutorial for the pole screen kits, which shows in detail how to stitch and assemble them.